Mac Mail to Outlook Migration Tool! Apple Mail to Outlook Migration tool not only migrate apple mail to outlook, but it can migrate apple mail to other 6+ format as well. I was using Apple Mail in my organization and took backup of my entire data in MBOX file format. However, there is an urgent need for opening Apple Mail items on my personal computer, which is having Outlook 2016 with Windows 8.1 OS. Therefore, I want a solution through which I can import Mac mail to Outlook and hence, view important emails of Apple mail on my PC. Please someone help me out in finding such solution! While performing migration procedure, is it possible to maintain data integrity throughout? Can we move the data in batch manner? Is it possible to move email attachments too? If one is utilizing third-party application then, is there need of any software installation for functioning of it? Will it be possible to migrate bulk amount of data within just few minutes? What is the estimated time duration required for entire transferring procedure? Exporting data from one email platform to another seems to be an easy task but its not the real fact. In actual, it is a difficult task mainly for the users who are not much knowing about any of the email applications. Therefore, to have a simplified solution for performing migration from Apple Mail to Outlook, users can make use of this utility. The Mac mail to Outlook exporter has came up with many outstanding features within it, which serve as the major part of migration procedure. It provides bulk migration, option to remove duplicate emails, merge multiple Apple mail files, etc. Users can move file of any size without any limits. This tool maintains the data consistency even after the migration procedure along with the facility to perform easy and quick file conversion. In addition, there is no need to have installation of any email client for working of the product. Can I move all my Apple Mail files in Bulk? Yes, Apple Mail to Outlook migrator is capable enough to move all files in bulk at once. Is it possible to merge exported Apple Mail files? What is the maximum file size limitation to migrate Mac mail to Outlook with this software? The application is designed in such a way that there is no file size limitation appended with it. One can browse files on any size without any worry of file size. If the location of Apple Mail files is not known then, will this product be able to transfer Mac mail to Outlook? Yes, you can click on Find tab to search files from your machine in which software is installed. The tool will automatically load files and then, you can perform conversion with help of the product. "Apple Mail to Outlook migration software provides most simplified way to transfer Mac mail to Outlook. I had shifted all of my emails on from Apple Mail to Microsoft Outlook email application very quickly and in an accurate manner. 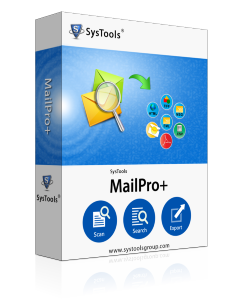 I will definitely recommend this tool to all others for perform Mac mail migration. I am actually surprised with working of this product. I had never imagined that there could be any software, which provides such easy functioning for transferring Mac mail to Outlook. It is an incredible software, which came up with many features to make it simple for users to perform the migration. Thanks to the software development team for coming up with such innovative tool! Apple Mail files are not accessible or supported by Microsoft Outlook. Therefore, it is mandatory to perform the file conversion in such a way that resultant file could be supported and accessed in Outlook email client. This is the reason why users need a technique to perform Apple Mail to Outlook migration.